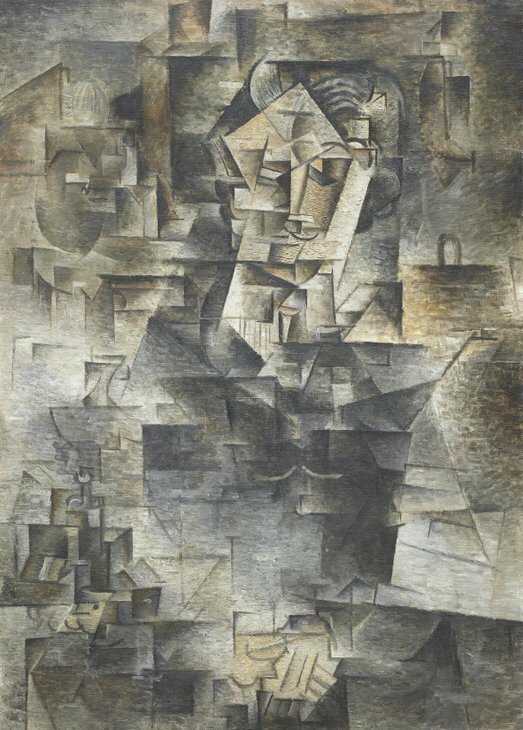 Picasso is one of the greatest artists in history, and to capture the full diversity of his work in one exhibition is impossible. So it's a great idea for the National Portrait Gallery to focus solely on his portraits. That way they can capture his full range of styles all within a single theme. Part of the show focuses on Picasso's place in society; this section is largely disappointing as portraits of Stravinsky and Cocteau are only noteworthy because of who's in it, rather than the work itself, which is frankly rather dull. The one exception is of designer Francis Poulenc, drawn with a caricatured oversized head and nose. After this damp squib of a start, the show comes alive with an exceptional room dedicated to Picasso's first wife Olga. First, we see a traditional portrait showing off her beauty. As the relationship deteriorates, she becomes more morose. Eventually, there's a none-too-flattering angular work caricaturing her habit for fancy hats. It's a room that captures Picasso's different styles, at the same time showing the deterioration of a relationship. His second wife, Jacqueline, gets the Picasso treatment too. Yet when he painted her in his usual distorted style, Picasso was much softer and there is a real tenderness in a portrait of Jacqueline in black. 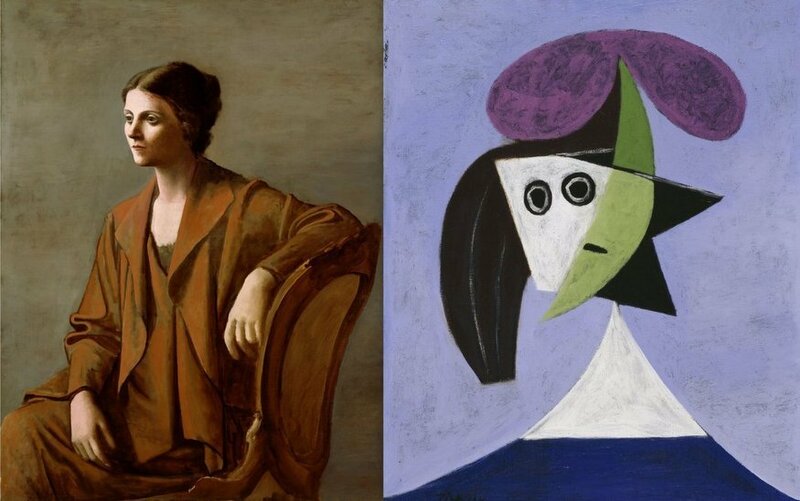 We finish off with Picasso taking on the style of the Old Masters and other greats as he co-opts the styles of Velazquez and Rembrandt to great effect. The best piece is a portrait that is quite clearly in Picasso's style, while the fiery orange background is pure Van Gogh. There are some fantastic works in this exhibition, however they need to be picked out among a mire of so-so efforts. We get the full versatility of Picasso, but only flashes of his artistic genius. Picasso Portraits is on at National Portrait Gallery until 5 February 2017. Tickets are £19 for adults, concessions available. For more recent openings see our review of Philippe Parreno’s turbine hall installation, Abstract Expressionism, The Turner Prize, the double header at the Serpentine galleries and our guide to Frieze week.